This portion of FYS deals with copyright and licensing issues. Before I dig into the Paul McCartney lawsuit with Sony, first let’s go over the concept of copyright. What exactly does a copyright mean? According to safeguard.com, a copyright allows the producer of a work to determine what work can be used by others or reproduced. Copyright is protected by the Patent and Copyright Clause of the Constitution (Article I Section VIII Clause VIII), stating that [The Congress shall have power] “To promote the progress of science and useful arts, by securing for limited times to authors and inventors the exclusive right to their respective writings and discoveries.” Copyrights are generally used to protect written works such as poems, novels, music, as well as recordings, photos, and even architecture. Only written ideas can be copyrighted. You cannot copyright a name or idea. While copyrights are not necessary, they show private ownership or a written work and last for 70 years after the writer’s death. However, copyrights can be sold and there is a grey area when it comes to copyright infringement (distributing content without consent) and ownership of works. Students do it on a day-to-day basis. Even taking a photo from a website without purchasing or without consent is considered copyright infringement. In the second article, found on liveforlivemusic.com, I will use one of the most recent cases in popular culture to show the many challenges surrounding copyright and ownership. 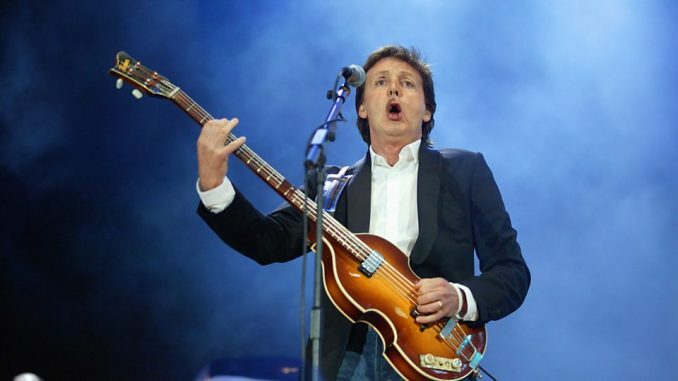 Paul McCartney, a former member of the Beatles, is credited for the writing (along with John Lennon) of nearly 200 Beatles songs. In addition to this, he holds over 3,000 copyrights. Despite all this, Sir Paul has been fighting to regain the rights to his music since 1969. In 1985, Michael Jackson purchased 50% of ATV music and as a result, ownership of the Beatles’ music. Jackson outbid McCartney and spent a total of $47.5 million on the deal. In 2016, Sony repossessed the 50% for $750 million since Jackson passed away in 2009. The U.S. Copyright Act of 1967 allows publishers the chance to regain the rights to their work after a 56 year period after the date of publication. This means that beginning in 2018, McCartney has the opportunity to negotiate some of his songs back. He has already recaptured 32 songs. While there is a grey area in this topic, one must understand the rights that are granted as a publisher, as well as the possible cases of infringement.